Xenadrine weight loss pills and supplements offer consumers different options if they are struggling to lose weight. The brand currently offers five products marketed for weight loss and three other herbal dietary supplements. Before investing in these (or any) weight loss supplement, it's important not only to critically evaluate Xenadrine reviews but also to understand the ingredients in these products and potential side effects. Xenadrine is a brand name that has been associated with weight loss since the early 2000s. In the earlier years, certain popular Xenadrine products came under fire from both legal and government agencies including the Federal Trade Commission and the United States Department of Health and Human Services for deceptive marketing practices and/or safety concerns related to Xenadrine, CarboCurb, Xenadrine EFX, and Xenadrine RFA-1. The other three products sold on the company's website are dietary supplements that do not list weight loss as a primary benefit. For that reason, this Xenadrine review will not focus on those supplements, but rather on the products that are marketed to consumers who are trying to lose weight. If you choose one of the Xenadrine weight loss products, the supplements themselves will not provide any substantial calories or change your macronutrient intake. An important fact to note about Xenadrine reviews is that, according to the company, at least some people featured in reviews of the product have been paid. The company also solicits models on the website (but does not include any information about potential payment on the application). The company states that in addition to using Xenadrine, some reviewers follow a diet and exercise plan. It is unclear how strenuous the exercise program was or how rigorous the diet was. For these reasons, it is hard to critically evaluate the Xenadrine reviews featured on the brand's website. If you visit third-party websites to evaluate Xenadrine reviews, you're likely to see a balance of both positive and negative comments. The positive comments generally focus on improved energy and weight loss. Many of the negative comments compare the new product to the old products that have been removed from the market (in part because of safety concerns). 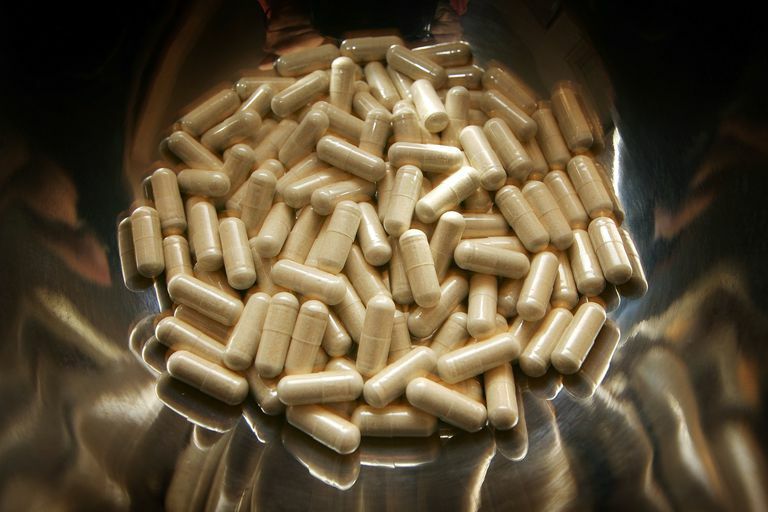 Other comments note that the people who took the supplements didn't see any weight loss or that they experienced side effects (like nausea and stomach discomfort) after taking the pills. In order to keep your expectations in check, it's helpful to note what the company claims that their products can and cannot do. Most notably, the company does not specifically claim that the products alone cause weight loss even though the words "weight loss" are featured prominently on each product page. The small print says that you'll have to follow a diet and exercise program as well. Additionally, the science on the website is very limited. Two scientific studies are referenced on the site, but you'll see that the weight loss claim is linked to just one study in which participants took a supplement product called Svetol and lost weight in combination with a diet and exercise program. Both the study group (taking the supplement) and the control group (no supplement) lost weight. According to self-reports, there was no difference in the way the subjects in each group said they looked. Svetol is a brand of decaffeinated green coffee bean extract enriched in chlorogenic acids (CGA). Peer-reviewed studies have shown that this polyphenol compound may play a role in lipid (fat) metabolism. However, independent research scientists who have evaluated CGA studies note that more research is needed to fully understand the compound's role and not enough is known about the long-term effects and safety of GCAs. There is no evidence on the Xenadrine website that the single Svetol study used to support their product's effectiveness has been peer-reviewed or published in a respected journal. Furthermore, there is no information included in the study about who funded the research. As a reference, funding is generally acknowledged in peer-reviewed studies to disclose any potential conflict of interest. Most importantly, very little information is provided about how the study was carried out. For example, study authors say that participants were put on a diet and exercise program. But as a consumer, you have no way of knowing what that program was because it is not disclosed in the report. You also don't know if everyone followed the same diet and exercise protocol. It's possible that people who lost more weight exercised more and ate less. In short, it is hard to use the study to verify the claims because not enough information is provided about the research. The study used to verify Xenadrine's effectiveness does not study Xenadrine. It investigates Svetol, which contains an ingredient that is similar to one contained in Xenadrine. Instructions for taking Xenadrine supplements for weight loss advise you to take several pills each day. Usually, the dose is two to three capsules taken twice daily—or four to six pills per day. The company also provides a diet and exercise plan for you to follow. The plan is very similar to traditional diet and exercise plans that you'll find elsewhere. As part of the 21-Day Starter Program, you have to cut calories and participate in regular cardiovascular and weight training activities. It is suggested that you have dumbbells, a medicine ball, treadmill, and stationary bike. You are advised to exercise most days of the week for approximately 30 minutes or more. The diet plan recommends that you consume 1500 calories per day. You'll consume 40 percent of those calories from lean protein such as chicken breast or egg whites, 35 percent from carbohydrates such as whole grains and vegetables, and 25 percent from healthy fats. Xenadrine ingredients vary from product to product. The company website provides information about the purported benefits of each ingredient. Independent medical and health organizations (such as the National Institutes of Health, the Natural Medicines Database, Memorial Sloan Kettering Cancer Center and other sources) provide advice based on scientific research about the benefits that these ingredients are likely to provide. Turmeric (curcumin) extract: There is not enough evidence to support the use of turmeric for weight loss. Alpha lipoic acid (ALA): Some studies have shown a limited weight loss of .5 to 3.5 pounds when ALA is taken daily for up to 48 weeks. Some sources note that weight loss may not be significant enough to be noticeable. Conjugated linoleic acid (CLA): There is inconsistent evidence regarding the use of CLA for weight loss. Some studies show that it may help, many studies suggest that CLA does not reduce total body weight or body mass index (BMI). MCT oil (and oil containing medium chain triglycerides): MCTs may improve weight loss in some, but the effects are generally modest and may not be clinically significant. Coffea robusta: According to the National Institutes of Health Office of Dietary Supplements, while this product may produce a mild weight loss effect, there are very few clinical trials to support its use and the available trials are of poor quality. A literature search for studies investigating coffee robusta (also known as Coffea canephora and C. canephora robusta) yields studies funded by supplement makers. Black pepper extract: Medical sources note that while some people use black pepper extract for weight loss, there is not enough evidence to know if it can provide any effect. Apple cider vinegar: A small study showed that taking the liquid form of apple cider vinegar showed that it may provide a small benefit for those trying to lose weight when it is consumed with a low-calorie diet. But there is insufficient evidence regarding the powdered form used in this product. Garcinia cambogia: According to the NIH Office of Dietary supplements, garcinia cambogia has little to no effect on body weight. Choline: There is not enough evidence to believe that choline can improve focus or mental skills or provide a weight loss benefit, according to medical sources. Huperzine-A: There is not enough evidence to support the use of huperzine-A for mental alertness, focus, or weight loss. Caffeine anhydrous: There is some evidence that caffeine improves mental focus. There is also evidence that caffeine may improve weight loss, but only when combined with ingredients not included in this product. Satsuma orange (Citrus unshiu): Some evidence suggests that this supplement may boost weight gain in cancer patients. Evidence to support its use as a weight loss aid is limited, with most research funded by supplement makers. Grains of paradise: This product is taken as a stimulant by some consumers, however, there is insufficient scientific evidence to support its effectiveness. Nutmeg (myristicin fragrans): There is insufficient evidence to support the use of nutmeg for weight loss or any other health benefit. Euphoria longana (longan extract): There is very limited evidence in mice that there may be a memory-enhancing benefit. But there is insufficient evidence to support its use in humans. Theacrine (branded as Tacrine by Xenadrine): There is not enough scientific evidence to support the use of tacrine for mental alertness or weight loss. Rhodiola extract: While some people take this supplement to boost energy, there is not enough scientific evidence to support its use. B vitamins: There is insufficient evidence to support the use of B vitamins for weight loss. Overall, it is important to keep in mind that most medical experts suggest that we get vitamins and minerals from whole foods rather than supplements. Spearmint leaf: There is insufficient evidence to support the use of spearmint leaf or spearmint leaf extract for weight loss. Yohimbine bark extract: Early evidence shows that yohimbine daily for eight weeks does not cause weight loss. Ashwagandha: There is not enough evidence to know if ashwagandha can provide any benefits related to weight loss. Many of the ingredients listed above may produce side effects in some people. Medical sources outline potential side effects. Grains of paradise might cause irritation of the stomach, intestine, and urinary system. Rhodiola might cause dizziness, dry mouth, or excessive saliva production. Yohimbe has been linked to reports of severe side effects including irregular or rapid heartbeat, kidney failure, seizure, heart attack, and other side effects. Nutmeg is possibly unsafe when taken by mouth in doses larger than amounts found in foods and for long periods of time. Long-term use of nutmeg in doses of 120 milligrams or more daily has been linked to hallucinations and other mental side effects. High doses of turmeric (curcumin) extract may cause gastrointestinal problems, and MCT oil may cause diarrhea, vomiting, irritability, nausea, abdominal discomfort, intestinal gas noises, and essential fatty acid deficiency. Coffea robusta may cause headache and urinary tract infections. Additionally, taking choline in doses of 9 grams daily or more might aggravate the loss of bladder control. However, the side effects that one will experience will vary based on the individual. Side effects often depend on the dose and duration of use. Unfortunately, the product label on many Xenadrine supplements does not contain dose information about all of the ingredients, so it is impossible to know how much of each ingredient you are ingesting. What most curious consumers want to know is: does Xenadrine work? While there is limited evidence to support some limited benefits from some of the ingredients, there is no overwhelming scientific evidence from well-respected medical sources that the ingredients in Xenadrine will cause you to lose weight. However, if you follow the 21-Day Starter Plan, you are likely to see results. This daily exercise and low-calorie diet plan follow the most highly regarded evidence that supports healthy weight loss. However, you do not need to take a supplement to follow the plans. In fact, even without a supplement, the plan is likely to help you reach and maintain a healthy weight. The scientific jargon and long lists of unfamiliar ingredients on the Xenadrine website may be appealing to some consumers who have tried traditional methods of weight loss without success. However, if you sift through the studies and the supplement facts, you'll see that the ingredients are generally not recognized by respected medical sources to provide a weight loss benefit. The National Institutes of Health provides guidance for consumers about what to look for when choosing a supplement. These guidelines are designed to keep you healthy and safe and to protect you from spending money on products that may be ineffective. Review these guidelines before buying Xendadrine or any dietary supplement to help you lose weight. As always, it is best to speak to your healthcare provider before taking any supplement or herbal ingredients to make sure that it is right for you. Herbs at a Glance. National Center for Complimentary and Integrative Health. National Institutes of Health. About Herbs, Botanicals & Other Products Memorial Sloan Kettering Cancer Center. Dellalibera SSA O, Lemaire B, and Lafay S. Svetol, green coffee extract, induces weight loss and increases the lean to fat mass ratio in volunteers with overweight problem. Sachdeva, R., Sivasankaran, S., Fishman, R. F., Zarich, S. W., & McPherson, C. A. (2005). Coronary thrombosis related to use of Xenadrine RFA. Texas Heart Institute journal, 32(1), 74-7.